Commissioner of Police 1868: Overpinted "C.P." in red, on 2 d. pale vermilion, wmk. 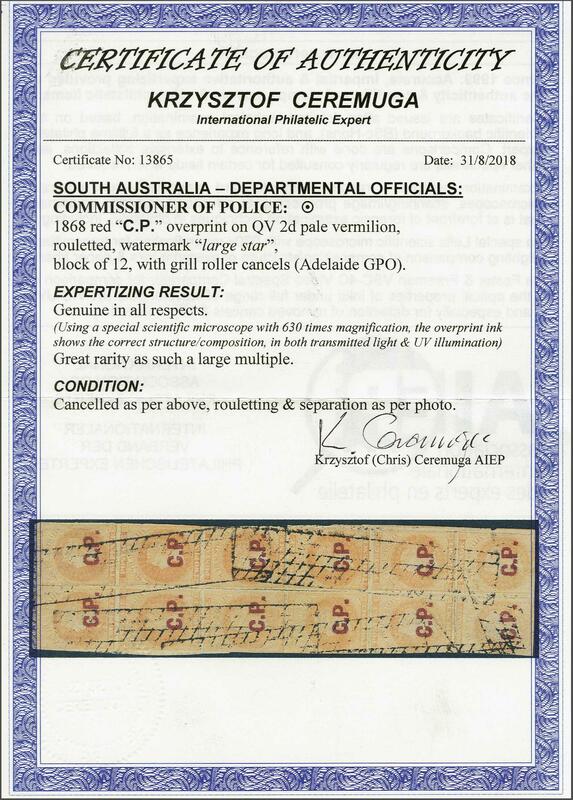 Large Star, rouletted, the used block of twelve (2 x 6) all cancelled at Adelaide G.P.O. by the roller grill cancellation in black. Some separation but rare. Butler C. Cert. Ceremuga (2018).